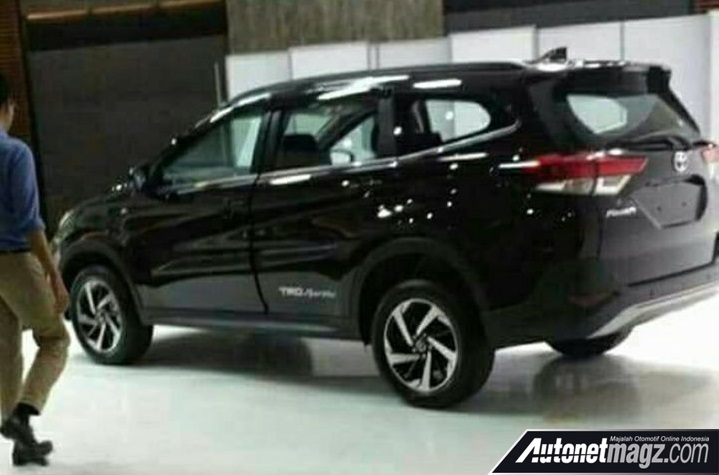 After revealing the launch date of the 2018 Toyota Rush (2018 Daihatsu Terios), AutonetMagz has shared images completely revealing the exterior of the next gen model. Toyota has also released an official teaser image via the print medium in Indonesia. The overall styling of the 2018 Toyota Rush seems to be a mix of the Daihatsu Multisix and FT concepts. The image reveals a Toyota Fortuner-like grille, which drops down into the bumper. 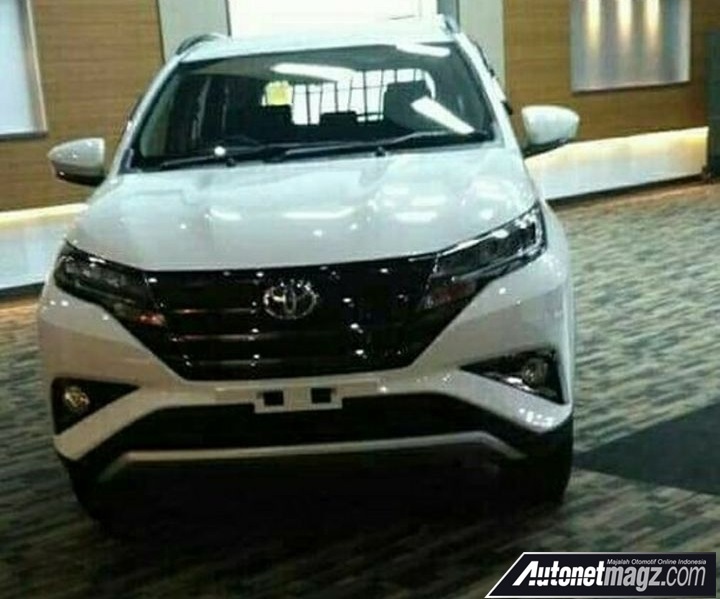 The front bumper design is in agreement with the leaked documentation that surfaced last month. Flanking the grille are a set of LED headlamps with LED DRLs. The side and the rear angle views of the Toyota Rush are very MPV-like. Quite similar in terms of the design approach, in fact, to the Honda BR-V and Mitsubishi Xpander, which are two of its biggest rivals. The tailgate mounted spare wheel has been removed, which has enabled Toyota to hinge the rear hatch to the roof. The front and rear bumpers along with wheel arches get black protective cladding. The TRD Sportivo variant pictured below has dual tone alloy wheels. Daihatsu has also started promotional activities for the new Terios. A teaser has been shared through various mediums revealing the profile of the vehicle partially. The 2018 Daihatsu Terios and 2018 Toyota Rush, much like the current models, will be nearly identical to each other. The overall design appears to be a mix of the Daihatsu Multisix concept and the Daihatsu FT Concept. Based on information published in a previous report, the top end variants of the new Toyota Rush will get 6-airbags and a whole host of feature additions in comparison to the outgoing model. The price of higher-spec trims will cross the IDR 300 million (INR 1,446,515) mark. The rear section feature split tail lamps with LED detailing. There's also a roof spoiler and a shark fin antenna present. While Daihatsu/Toyota is yet to reveal the official launch date, a report suggests it will take place earlier than anticipated on the 23 November.